The recent news of Daniel Bryan’s return to the WWE wrestling ring has brought plenty of comments from fans and fellow superstars, including potential future brother-in-law, John Cena. One of WWE’s top superstars over the years was recently asked about his thoughts about Bryan getting back into matches. Cena, who has been known to heal faster than most humans from injuries, seems to be on board with the decision too, based on what he’s seen over the years. It’s entirely possible he was also instrumental in helping Bryan get back to this point. John Cena is currently engaged to fellow WWE superstar Nikki Bella, twin sister of Brie Bella, whom Daniel Bryan is married to. That gives him a close perspective on the situation, not to mention that Nikki and Cena have trained to come back from injuries. In addition, Cena has had a few matches with Bryan in the ring before and realizes his talent and level of commitment to the craft. TMZ Sports caught up with the multiple-time champion at Montage in Beverly Hills to get comments regarding the big announcement of Daniel Bryan being cleared by WWE. 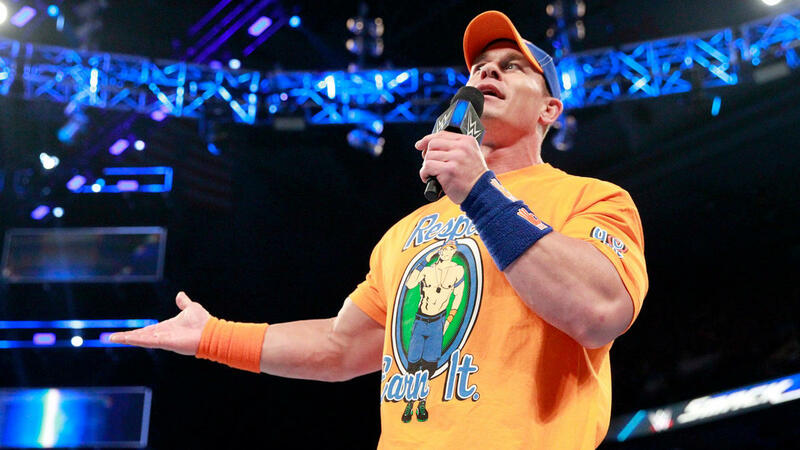 Cena said he couldn’t be happier and said Bryan has done “everything possible” in order to get to this point. The former WWE Champion said the following of Bryan’s situation. Daniel Bryan’s recent speech on SmackDown Live suggested that he never gave up in his pursuit of the dream to continue his wrestling career. He also credited wife Brie Bella with encouraging him along the way and it’s possible he had some support from Cena who has recovered from several setbacks during his career. Cena also was a positive force in Nikki Bella’s efforts to return to wrestling after her neck surgery. Daniel Bryan’s exact return match for the WWE is still unknown at this point. Speculation is that the former champion will be back for a big WrestleMania 34 match, but that’s yet to be announced. It could feature Bryan in a tag team situation with Shane McMahon against Kevin Owens and Sami Zayn. Even so, the possibilities of future matches with a variety of superstars exist and WWE fans, including John Cena, couldn’t be more excited for those matches to happen.